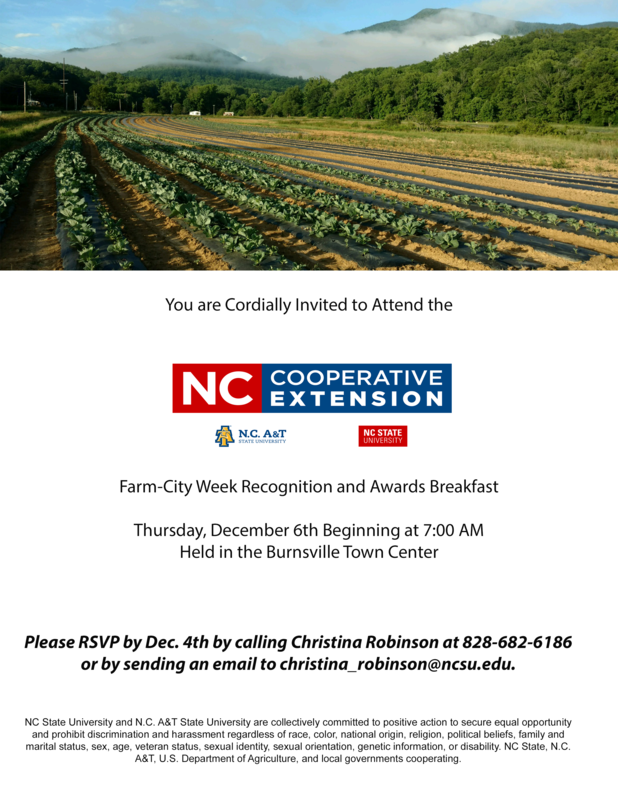 The Farm City Awards Breakfast is fast approaching and everyone is invited. Thursday, December 6, 2018, at 7 a.m. at the Burnsville Town Center. Please RSVP by December 4 by calling 828-682-6186, or by email: christina_robinson@ncsu.edu.